In project management, a baseline is the project's original plan. This original plan is visualized in order to compare it to the current project plan. Easy Gantt PRO offers this feature of highlighting the baseline plan. Baseline plan does not change when the schedule is edited. 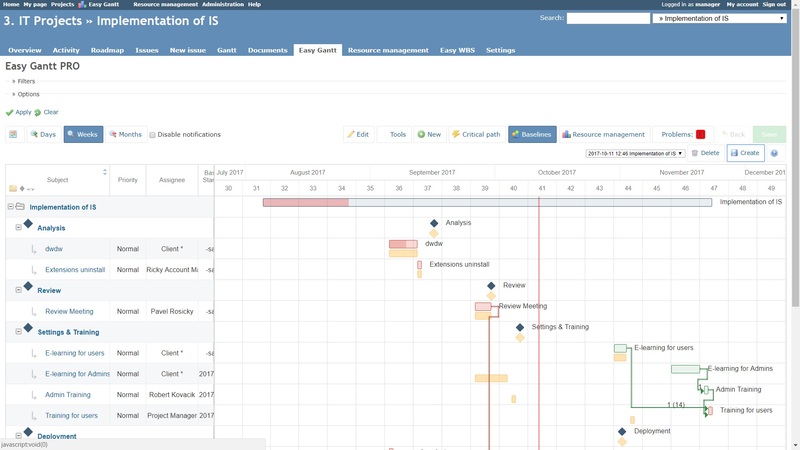 Redmine Gantt chart allows you to create more baselines which thus work as the snapshots of the project plan. Before start using Baselines, you need to have the module enabled in your project settings. 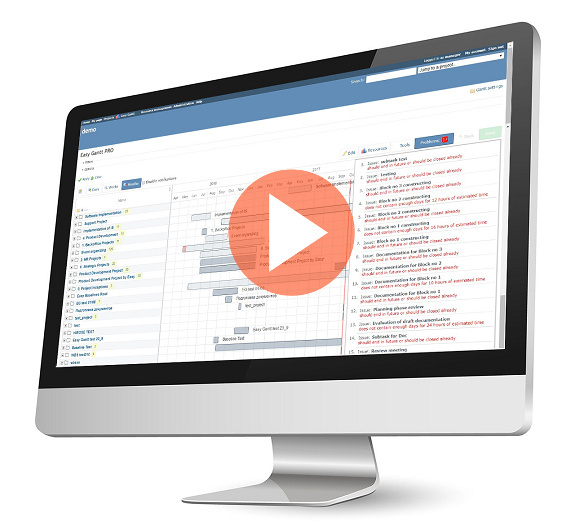 This feature is available as a part of Easy Gantt PRO, which is a paid plugin for Redmine. Moreover, it's available for a free trial in Easy Redmine. Important: You must enable REST API service in administration to work with this plugin fluently. Compatible with Redmine 3.2.x, 3.3.x, 3.4.x. Redmine 4 compatibility is in preparation. Compatible with Redmine 3.4.x, 3.3.x, 3.2.x.